During the preview of the “Masques à Démasquer” exhibition, held on Tuesday, February 21st at the Barbier-Mueller Museum in Geneva, the French Ambassador to Switzerland, in the name of the French Minister of Culture and Communication, appointed Juan Carlos Torres, CEO of the Manufacture Vacheron Constantin, a “Chevalier de l’Ordre des Arts et des Lettres” (Knight of the Order of Arts and Letters) of France. This distinction is awarded to a man who for years has committed himself, both on a personal level as well as on behalf of the company he leads, to promoting the world of arts and culture that represents the very foundations of knowledge and therefore the source of true progress. 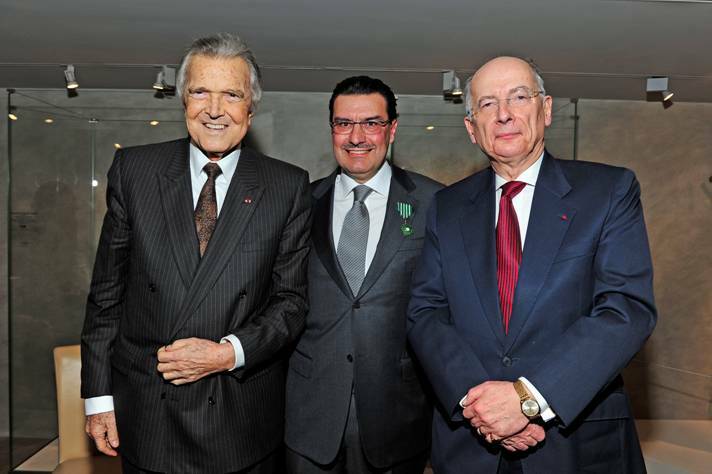 Whether through patronage or partnerships, many institutions benefit from this backing, including the Paris Opera, the Barbier-Mueller Museum, the Barbier-Mueller Museum Cultural Foundation to bear witness to cultures, along with other Swiss and international museums. Under the impetus of Juan Carlos Torres, the Manufacture Vacheron Constantin is also strongly involved in the promotion of watchmaking artistic crafts and, in support of the French National Institute of Artistic Crafts, plays an active role in preparations for the future European Study Days on the Artistic Crafts.